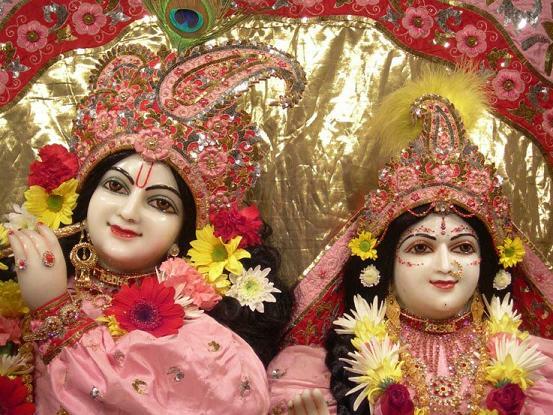 "This statement of Srimad-Bhagavatam should be the guide of all devotees. A devotee should not expect immediate relief from the reactions of his past misdeeds. No conditioned soul is free from such reactionary experiences, because material existence means continued suffering or enjoying of past activities. If one has finished his material activities then there is no more birth. This is possible only when one begins Krishna conscious activities, because such activities do not produce reaction. Therefore, as soon as one becomes perfect in Krishna conscious activities, he is not going to take birth again in this material world. A devotee who is not perfectly freed from the resultant actions should therefore continue to act in Krishna consciousness seriously, even though there may be so many impediments. When such impediments arise he should simply think of Krishna and expect His mercy. That is the only solace. If the devotee passes his days in that spirit, it is certain that he is going to be promoted to the abode of the Lord. By such activities, he earns his claim to enter into the kingdom of God. The exact word used in this verse is daya-bhak. Daya-bhak refers to a son's becoming the lawful inheritor of the property of the father. In a similar way, a pure devotee who is prepared to undergo all kinds of tribulations in executing Krishna conscious duties becomes lawfully qualified to enter into the transcendental abode."